Available as manual, semi-automated, all the way up to fully automated systems. 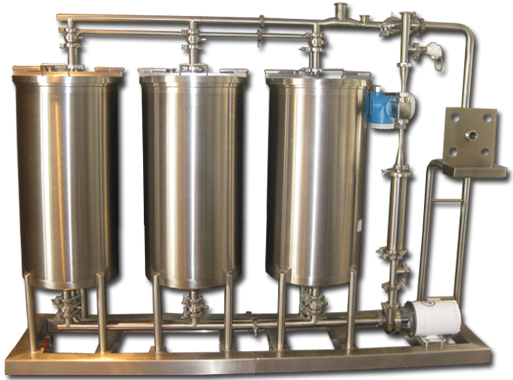 When Tanks require less frequent cleaning, (such as in the case of a sugar or oil tanks), a portable CIP tank can be used in different locations within your factory and connected to your equipment with hoses. Heating can be done using direct steam, or with heat exchanger for heat recovery. Heating can also be provided by electric elements. "On behalf of E-Z-EM we would like to sincerely thank INOX-TECH, and its work crews, for all its collaboration, availability and competence during the enlargement and redevelopment of our production facilities." "INOX-TECH has a very strong engineering team with the skills, knowledge and expertise to oversee every stage for engineering and fabrication, as well as the integration phases of multi-million dollar projects. 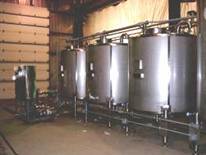 Over the past 15 years they have been successfully involved in the fast track expansions of our existing yeast production plants in Montreal, Quebec; Baltimore, MD; Bakersfield, CA: and Memphis, TN." © 2019 Welcome to Inox-Tech. All Rights Reserved.